With a Wild Touch® product you will get handcrafted quality with timeless value. We stand behind every single product made by us. Our leather workshop has been producing leather products for generations. Traditions and technical know-how goes hand in hand with the latest techniques and materials. We use only the best materials in the processing of products, ranging from leather to edge reinforcements and buckles in solid metals and zippers and sewing thread. Wild Touch® stands behind every product in our range with a comprehensive 10-year warranty and offer a comfortable repair service for damage to products even if not covered by our guarantee. The first 10 years from purchase date we repair all products at no cost by emerging damages arising in connection with normal use of the product. The warranty applies, for example also zippers, buckles and rivets. The only cost you have for the repair is shipping cost to Wild Touch® and shipping and handling cost back from Wild Touch®. There are no handling charges for repairs within the first 2 years of purchase. Our 10 year warranty does not apply to abnormal use, abuse and lack of maintenance of the product. For example: warranty does not cover if the leather has become moldy / rotten, if the puppy has chewed the leather, bullet holes and similar harm. The guarantee also applies to leather supplied by Wild Touch®. 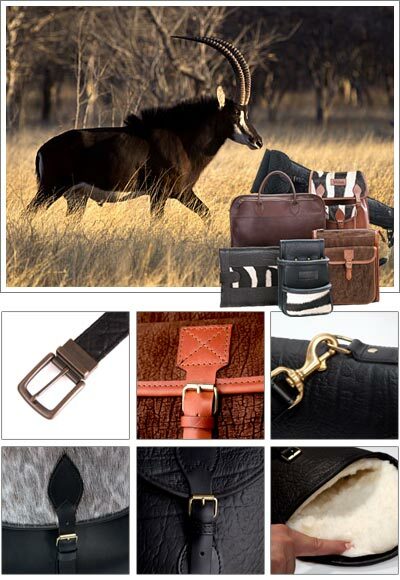 The warranty does not cover game leather and game skin (skin with hair) supplied by our customers to Wild Touch®, as it is the customer's own material, the leather may have been sliced thin or the like, which may limit the durability and abrasion resistance of the skin. Similarly, there may be hair loss and wear on the wild fur (fur with hair) - this is not covered by warranty. Even if the product has been damaged and repair is not covered by the warranty, we give our customers peace of mind regarding the leather products that can be used and enjoyed for generations. We thus always deal on repairs not covered by our 10 year warranty.